My name is Tommia. My mom, siblings and I moved to Dane County when I was 2 years old. 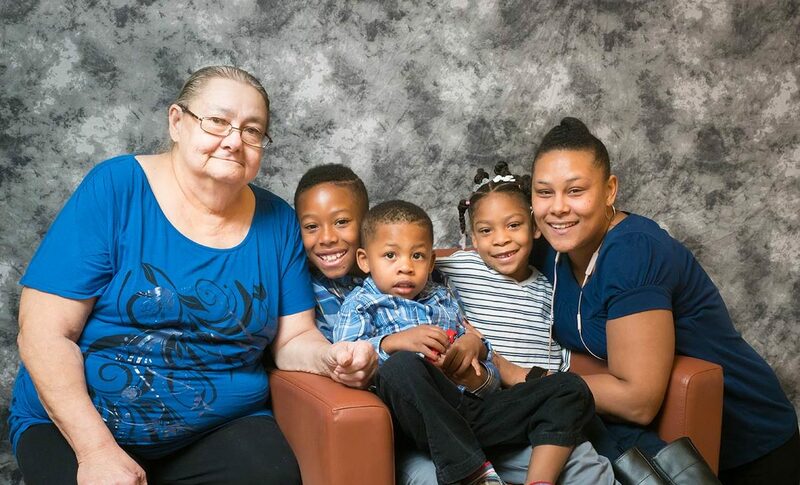 Now our family consists of six people – myself, my 61-year-old mother Cathy, my 6-year-old daughter Taziar, newborn daughter Kamia, my 9-year-old son Tristion and 3-year-old son Tycere. My mom enjoys spending her time cleaning, doing crossword puzzles and watching TV. Taziar is quite active. She loves running around outside and riding her bike, as well as doing arts and crafts. Tristion is the artist of the family. He loves drawing pictures for me. He also enjoys playing basketball and says he can’t wait until he’s able to have a real hoop outside. Tycere pretty much goes with the flow and loves Mickey Mouse. Our family time consists of eating dinner together and watching family movies when time permits. We love to barbeque and host cookouts, so we can’t wait to have a backyard. Family is very important to us, as well as loyalty, respect, teamwork and discipline. Our family is founded on love, fun and respect. We try to attend all school events and family activities. With our new Habitat home, we are looking forward to having a nice yard for us to play, garden and host cookouts. But the very best part about home ownership is the fact that we can keep it in the family and pass it down for generations to come. We are excited about partnering with Habitat because we get to learn firsthand maintenance and homeowner skills while meeting quality people in the process. Our family would like to send our highest thank you and gratitude to volunteers, sponsors and Habitat for Humanity employees for all of their help, love and support.